Cherryland’s team of specialists is available to give interesting and informative presentations to schools, civic clubs, or other organizations about industry trends, the co-op business model, electricity 101, and our popular electric safety demo. We take safety seriously. That’s why we want to make sure all of our members, young and old, know how to be safe around electricity. 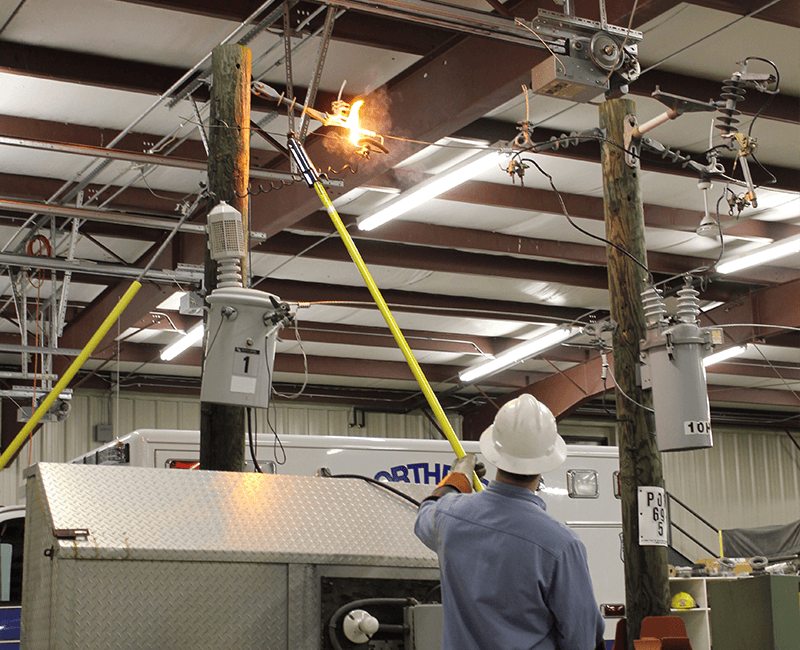 We utilize two “hot wire” demonstration units. Our trailer model is available for outside demonstrations and works great for fire departments and civic groups. Our tabletop model is perfect for classroom presentations. All presentations are a free service to the community. Want to Schedule a Presentation? Contact Rachel Johnson at (231) 486-9275 or rjohnson@cherrylandelectric.coop for more information about community presentations. Safety is our top priority; not just for Cherryland employees, but for you too! And to be safe, you need the right tools. Take a look at the various resources we have below that will help you fill your safety toolbox. Remember, safety first!